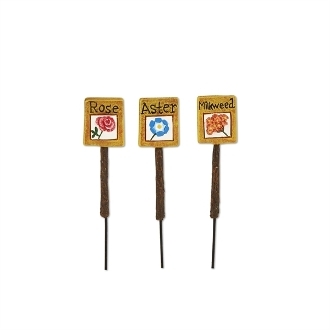 Set/3 Flower Garden Markers for Merriment Mini Fairy Gardening. Full Description: This adorable set of three mini flower markers are must-haves for the expert gardener. Features all-weather paint. Made of resin with metal picks.